of a newer database under Police Control but operating without a specific regulatory regime applicable to it. 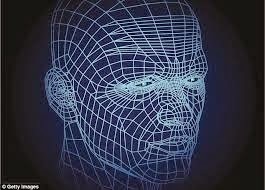 (See Youtube UK Police built secret face photo database for part of the programme). It is reported that Police in England and Wales have uploaded up to 18 million "mugshots" to a facial recognition database - despite a court ruling it could be unlawful. They include photos of people never charged, or others cleared of an offence, and were uploaded without Home Office approval. Photos of "hundreds of thousands" of innocent people may be on the database, an independent commissioner said. The database complies with the Data Protection Act, police insisted. Biometrics Commissioner Alastair MacGregor QC said he was concerned about the implications of the system for privacy and civil liberties." It appears that the Facial Recognition Database has been developed under the auspices of the Association of Chief Police Officers (ACPO) a body that is to be replaced from 1st April 2015 by a new National Police Chiefs' Council. (The change follows an independent review of ACPO). No doubt this database will be of considerable value in tackling crime - particularly at a time when government policy has reduced Police numbers. However, there is something of a democratic deficit when this form of data retention system is developed without Parliamentary involvement or bringing it within a specific form of regulation similar to that applicable to fingerprints and DNA. The Justice Gap - UK adult population police photos database.